Summer is a great time for outdoor fun, but many summer activities can lead to serious accidents and injuries. 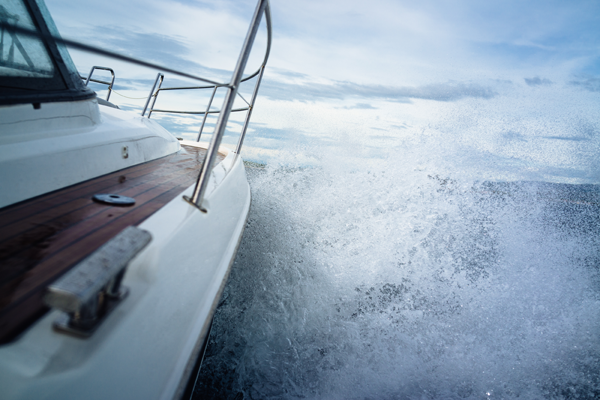 Boating, swimming and diving are a big part of many summer events, vacations and parties, but these activities can be risky and may lead to accidents due to the negligence of others. If you are on vacation and rent a motor boat, it is important to make sure the boat has been properly maintained and serviced by the owner or marina from whom the boat is rented. If a boat is not properly serviced and maintained, there may be mechanical problems with the engine, which could result in what are referred to as propeller strike injuries. If the engine is not working properly, the propeller could unexpectedly rotate while someone is boarding the boat using the ladder. Injuries from a propeller strike can be very serious and permanently disabling. Marinas that rent boats are also required to provide a sufficient number of approved life jackets. The boat should be inspected before every trip, no matter how short, for the correct number of life vests for all passengers, even experienced swimmers. Collisions with other boaters or people using Jet Skis or Wave Runners are quite common. Many people have limited or no experience operating a motor boat or Jet Ski. These machines do not operate or respond the same way cars or other motor vehicles respond. Most people are just not familiar with how these machines respond, turn or stop. Collisions often occur because the operator was going too fast or did not leave enough time or room to avoid a collision. Very often alcohol, which is a normal part of summer fun, plays a role in boating accidents. Many boating accidents occur due to over loading or over crowding. All boats have limitations on the number of people or the total weight that the vessel can accommodate. The boat manufacturer generally provides this information when a vessel is sold. These limits should be followed by the owner or users of the boat, even if the boat is docked. Swimming or diving in unfamiliar pools, lakes and other bodies of water can also lead to accidents, some quite serious, especially if someone dives head first into the water. You should never dive head first into an above ground pool or shallow end of a pool, or into any body of water with which you are not familiar. Owners and operators of pools, lakes and other swimming facilities often have knowledge of the unique conditions at their facility, and have a duty to warn swimmers of dangers such as shallow water, underwater debris or rocks, or inoperative pool lights. Even private home owners who rent out their summer homes have certain responsibilities to their tenants to maintain a safe pool and provide warnings about certain problems and dangerous conditions that exist. Worby Groner Edelman has handled cases involving serious boating, diving and swimming accidents. If you or someone you know has been injured as a result of a boating or swimming or diving accident, call us to discuss what your legal rights are. You may be entitled to compensation. Remember, there is never a fee unless we are successful!